Russia’s Vnesheconombank and Renova Group of Companies JSC signed a cooperation agreement during the Russian Investment Forum in Sochi, Russia, to work on financing high-tech, innovations and investments in disruptive technologies, including projects aimed at developing digital economy, industry 4.0, blockchain, and neurotechnologies. Both parties are going to pay special attention to supporting export of industrial products and services, including information technologies and innovative products. The agreement also regarded as priority transport and energy infrastructure projects as well as high-tech public health infrastructure and industrial sites infrastructure projects and projects for the Year of Ecology. Projects are to be implemented with the use of co-financing and state support instruments. The parties will build task groups to choose and adjust optimal conditions for financing investment projects. 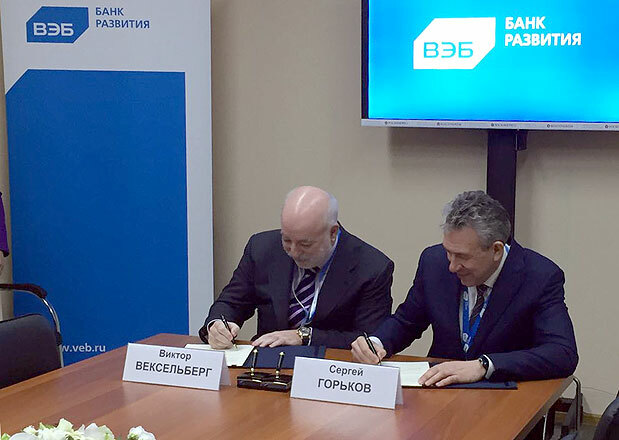 The agreement was signed by Sergey Gorkov, Vnesheconombank’s Chairman of the Board, and Viktor Vekselberg, Renova Group of Companies’ Chairman of the Board.